This week i've spent some time working on the procedural map generator. 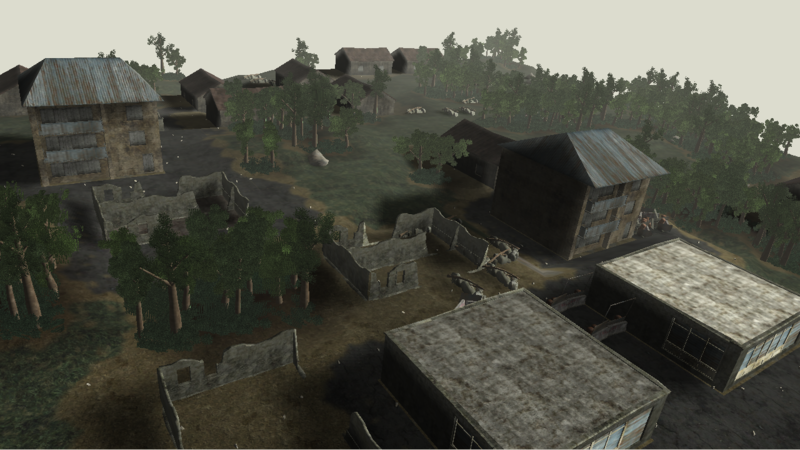 It now creates more object types, and two different kinds of populated places, rural and urban. With that said, the architects still have some things to learn about city planning.. 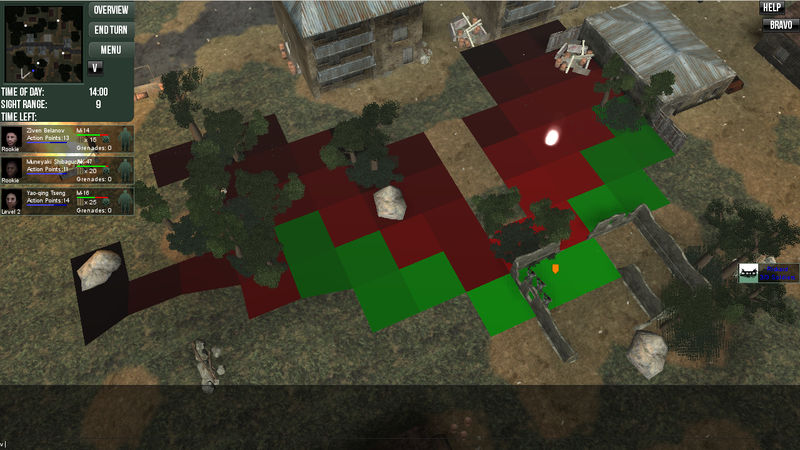 It now also produces a few destroyed buildings, that are more interesting for gameplay. My biggest problem with it right now, and stopping me from applying it wider is handling height differences in populated places. There is some functionality there to account for it, but there sometimes still occur big slopes in the middle of "streets". A shader bug, vLightDir not being consistent across the shaders. Proper feedback when login fails. I downloaded this game, registered and tried to login but it dosent do anything. It just stays at the login area withought saying anything or doing anything. is it a bug or something? It could be a bug. Admittedly, the feedback in the login screen is abysmal (read non existant). Could you try again? If it doesn't work, i'll dig into it. Why am I getting a Jagged Alliance vibe from this? My trigger/mouse finger likes this. interested on seeing how this goes. The focus on improving the game experience continues with another new game client. Both a bit smoother gameplay and better looking. New version which fixes an issue with the Tutorial mission that was introduced on friday. New client version up. More particles, more animatons, and generally a smoother experience. More news to come this weekend. Unfortunately, it seems there is a problem with registering, using gmail. We're working to solve this!